Calling all Bowen Islanders and visiting Squadron Members! Please come and support this event. Steamship Days needs you! 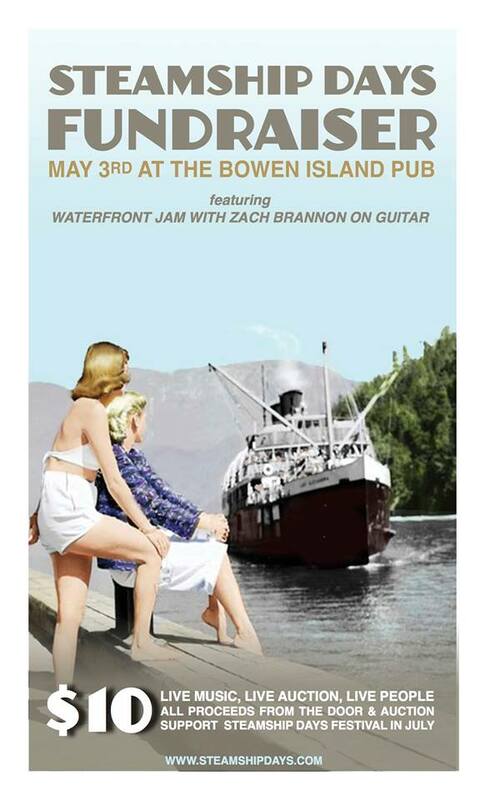 We all love Bowen Island so if we happen to be there prior to our first cruise of the year to Union Steamship Marina, pay a visit to the Bowen Island Pub to help a good cause! Please note the date has been changed to May 10, 2014.